The Lily drone has had a rough go — and things haven’t gotten better since its release. It’s a nice little drone with a decent camera that’s extremely easy to fly and set up. But the big problem? At $699, the Lily drone is 5x more expensive than what it should be. For the uninitiated, Lily launched to much fanfare in 2015 on crowdfunding site Indiegogo, raising $34 million in pre-orders. The promo video showed a sleek drone that took off when thrown in the air and could navigate around objects — something no drones were able to do at the time. The Wall Street Journal put Lily on its list of products “that will change your life,” and the drone’s cofounders were named in Fortune’s 30 Under 30. Of course, Lily was a textbook example of that. After a series of delays and hundreds of angry customers, Lily’s creators eventually admitted they couldn’t finance production and said they would give refunds to backers. In January 2017, Mota Group, which at one point filed for IPO, bought the brand name of Lily. Many in the drone community felt it was an odd choice for another company to buy such a tarnished name. But if anyone could do it — Mota had a shot. Mota is the company behind the Jet Jat Nano, a delightful $30 toy drone. It’s easy to set up, and at such a low price point, tough to go wrong with. Mota announced the re-launch of Lily in October, but it launched without two of the most hyped features of the original designs: it won’t be waterproof, and it won’t have the ability to fly after being tossed in the air. That’s not exactly surprising — not even multi-billion dollar drone behemoth DJI has been able to accomplish such a feat. Nonetheless, I decided to give it a try. My first impression of the Lily drone was really excellent. The design is sleek and the packaging looks expensive. It’s packaged in a neat little carrying case, small enough to fit in a backpack or purse. The case makes it easy to stay organized, with separate compartments for cords, chargers and batteries (yes, plural batteries — which is a nice touch). The drone can fly indoors or outdoors, and, like the Mavic, can fold up. Each battery offers up to 18 minutes of flight time, and object tracking, automatic return to home and a feature called SmartHover makes the drone incredible easy to pilot, even for first-timers. The Lily drone does not come with an RC transmitter. The whole thing is controlled by an app on your phone. Personally, I prefer flying with an RC transmitter. It allows for more precision in piloting (no fat thumbs maneuvering around on a small screen!) and typically enables the pilot to fly farther distances than with just a phone connection via WiFi. However, the phone controls can be a nice touch for people who want to eliminate the amount of “stuff” on you. It’s one less thing to charge and pack, assuming you would have your phone on you anyway. The app to control your drone is extremely easy to use with a clean, simple interface. The videos and photos can be sent straight to your camera roll, making it easy to upload them to your Instagram — and not have to worry about a memory card. As I was flying, I heard a loud clicking sound. The drone flew just fine, but the sound was just a little bit too loud to put me at ease. Though some drones are extremely loud, that I didn’t think too much of it. But about 10 minutes into my flight, the drone crashed. That clicking sound was the propellers grinding against each other. They were grinding until they could grind no more, and the propellers were nearly chipped entirely away. What happened? The arms of the Lily drone fold out. And it turns out that I hadn’t folded them out all the way. Now, I will fully admit that this crash was my fault. I talked to a very nice Lily representative who reminded me that folding out the propellers is clearly marked in their user manual’s pre-flight checklist. And I will admit that I did not carefully go through the pre-flight checklist all the way. However, I was pretty unsettled that, as someone who has reviewed dozens of drones, I was able to crash it so easily from such a silly mistake. This could happen to anyway! I then compared the Lily drone to perhaps the most famous foldable drone, the DJI Mavic Pro, to see if the same error could happen with the Mavic. Turns out, no. The Mavic’s arms are spring-loaded, so once you start folding out the arms, they will spring out completely to flight-ready position. The Lily drone does not have spring-loaded arms. What happened to me with Lily would never happen with the DJI Mavic Pro. So while the whole Lily crash was certainly my fault (ALWAYS read the manual and go through your pre-flight checklist), it reminded me that in order for a drone to be successful, the manufacturer needs to pay extreme attention to detail. Drones are inherently dangerous — they’re a flying robot with spinning blades that have the potential to seriously injure people in the event of a crash. And drone manufacturers need to make every effort to prevent their users from making silly mistakes. Cheap, toy drones can get away with a lack of attention to details, but prosumer-priced products cannot afford to get away with that. Much of DJI’s success in recent years is their products’ ability to be ‘idiot-proof.’ Their products have redundancies and safety features (auto-locking propellers, geofencing and aggressive in-app notifications) that make it pretty difficult for pilots to crash them — yet even DJI products aren’t immune to crashes. For a drone priced at $700, I was disappointed that Lily cut-corners on details that could drastically improve the experience — in my case, spring-loaded arms. Even had I not crashed the Lily drone due to my failure to extend the arms all the way, I still would struggle a reason to recommend the Lily over something like the DJI Spark. There’s nothing that the Lily has to offer that the Spark doesn’t already have — and the Spark is hundreds of dollars cheaper. Had the Lily drone cost less than $200, I would be quick to recommend it. But beyond a better camera and sleeker packaging, the Lily drone doesn’t offer anything beyond something like the $129 SPECTRE drone from TRNDLabs. The Lily drone has lots of good things going for it — a decent camera, an easy-to-set-up and fly drone and a simple way to upload photos or videos. But it’s certainly not worth anywhere near $699. The Lily drone launched to a tarnished name, and unfortunately it doesn’t do anything to clean that name up. Those people are scammers! 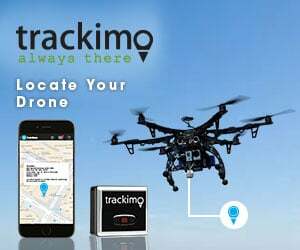 They take your money offering discounts, then do not respond to emails requesting updates asking when will the drone you have paid for will be shipped. They simply ingnore emails while sitting on your payment. Do not buy or support this doggy company. LILY and MOTA are a total SCAM!! They take your money, never ship the product and never respond to any communication. These people ought to be sued to high heaven – going to visit their offices soon to get my money back.